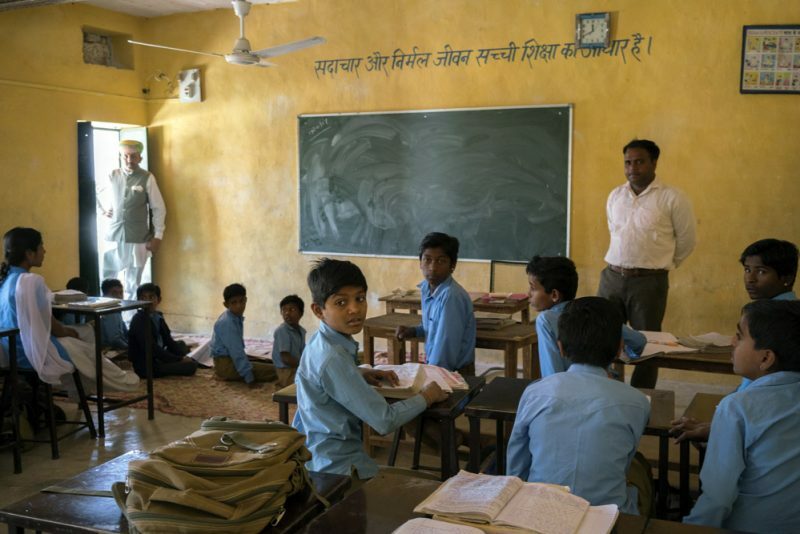 Jaisalmer, India — Once a year, history lecturer Vijay Kumar Ballani and his colleagues go door-to-door in this rural village, imploring parents to send their children to a cinderblock complex that lacks classroom space, bathrooms and desks. He gives the same stock speech. The primitive school where Ballani teaches has few amenities. There’s no playground, gym or running water and very little technology. And despite India’s push to guarantee a good education to all children between the ages of 6 and 14 under the country’s Right to Education Act of 2009, most students will not finish school. “They are too poor — their parents want them to work,’’ Ballani said, while showing a visitor in and out of dusty classrooms at his school, GSSS Damodora, where students dressed in powder-blue uniforms sat on the floor awaiting instruction. About 65 percent of India’s students attend similar government schools, many with dismal outcomes. Just under three-quarters of students in rural India can’t subtract two-digit numbers by grade three, and only half of grade five students can read at a second-grade level, according to a recent World Bank report. The slow pace of improvement in India’s schools some 70 years after the country gained independence from Britain remains a source of frustration, but has given way in recent years to a range of public and private initiatives aimed at boosting attendance, literacy and the number of girls who attend school. New literacy efforts are evolving via NGO’s like Pratham, whose mission is “every child in school and learning well,” while Round Table India claims to have built one classroom a day for the last 10 years, including a new a community school serving an isolated tribal village. A summer coding camp is introducing Indian girls to computers, while new performance-based contracts known as social impact bonds are being introduced to improve learning and get more girls in schools. The government is also taking steps to provide additional non-school support (like bicycles to help students get there), and is moving toward new partnerships and private takeovers aimed at improving teacher training and school conditions. Still, increasing numbers of families are opting out of government schools in favor of low-cost private education options, while visionary educators are reimagining new solutions, especially for girls. 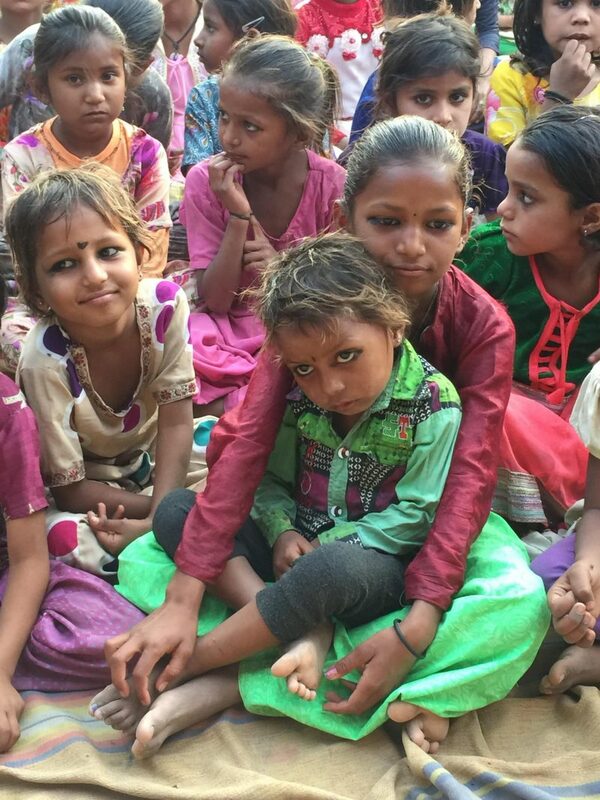 In the capital city of Uttar Pradesh, one school is changing lives in an area where more than 599 million people live below the poverty line and nearly 10 percent of girls are out of school. In rural Rajasthan, construction will soon be underway for a new all-girls school that will showcase local goods and heritage handiwork in this former medieval trading center, while combining education and economic development for local women. Just a few miles away from where Ballani teaches, Michael Daube is raising money for the new girls’ school and economic center in Jaisalmer. The charismatic American artist and founder of a New York-based non-profit recently broke ground for the Rani Ratnavati Girls School, named for a royal family member credited with saving the Jaisalmer Fort. On an early spring day, Daube, dressed in flowing white, described his vision for a cooperative where 400 girls will study and work alongside their mothers and grandmothers, next to a community center that showcases the intricate hand-sewn rugs, scarves and saris for which the region is known. Local musicians played while the Maharwals of Jaisalmer, the royal family helping with the costs, looked out at the barren former Indian heritage site, which sits next to government land Daube hopes to acquire. “A small project can have a global impact,’’ Daube said. With over 1.3 billion people, India is second only to China in population, and will account for 25 percent of the world’s labor pool by 2030. 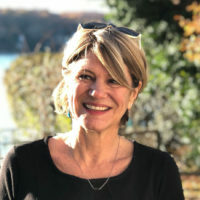 Manhattan architect Diane Kellogg is designing the complex, which will include an exhibition hall for female artists to display and sell their products. Girls will attend classes while local women weave and embroider their delicate handicrafts. Daube says he has drawn financial support from designers such as Donna Karan, Kate Spade, Barneys and J. Crew, who have pledged to showcase projects from the women’s center as a way of keeping their faded heritage alive. Patchwork artist Santosh Rathi says he’ll work alongside them. CITTA has experience building both a hospital and a school in Juanga, a village in India, which now has 360 students from kindergarten through 10th grade. The school goes beyond educating children: It also teaches villagers hands-on skills like nutrition, money management and animal husbandry. Daube and CITTA are holding fundraisers for the more than $300,000 needed to build the Rani Ratnavati school; they hope it will become self-sustaining within five years. A privately funded all-girls high school is also reporting great success in northern India. In 2003, the Prerna Girls School began providing a low-cost option that has served over 5,000 girls from impoverished families. In her new book, “Reaching for the Sky, Empowering Girls Through Education,’’ author and Brookings fellow Urvashi Sahni weaves in stories of many of the girls, including graduate Aarti Singh, now 25 with a master’s degree and dreams of becoming a professor. Author Sahni, who also works closely with government schools on an advisory council, is often asked her opinion on improving education for girls in India She’s convinced that having schools recognize the trauma and poverty inherent in their lives is a start, particularly in a country stratified by gender, religion and a caste system that still permeates daily life. 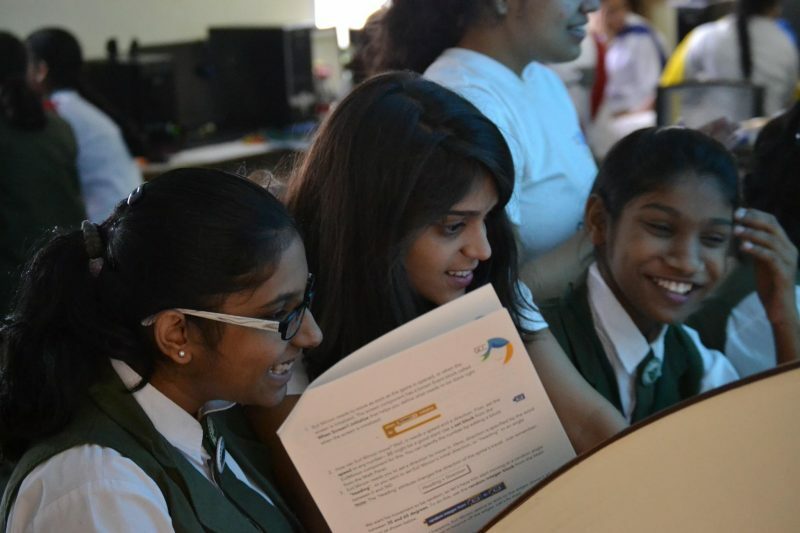 At government schools she visited back home, Shroff found “some might never have even seen a computer.’’ So she began working with other Stanford students and faculty to form a nonprofit Girls Code Camp, which aims to teach computer science to middle and high school girls in India. The camps have already served about 800 girls; Aashna is now studying at Stanford’s Graduate School of Education and hopes to develop low cost education tools for developing countries like India. Back at GSSS Damodora, lecturer Ballani is more concerned about classroom space and equipment. He’s also hoping the school will get more qualified teachers, which are desperately needed throughout the country. India will need some 3 million new primary school teachers by 2030 and over eight million secondary, according to UNESCO Institute for Statistics estimates. “If we get more teachers and make a joint effort with parents and concentrate on the work of students, we can get much better results,’’ Ballani said, before the conversation turned back to a list of everything the school needs: a projector, furniture, a library, books and clothing for colder weather.